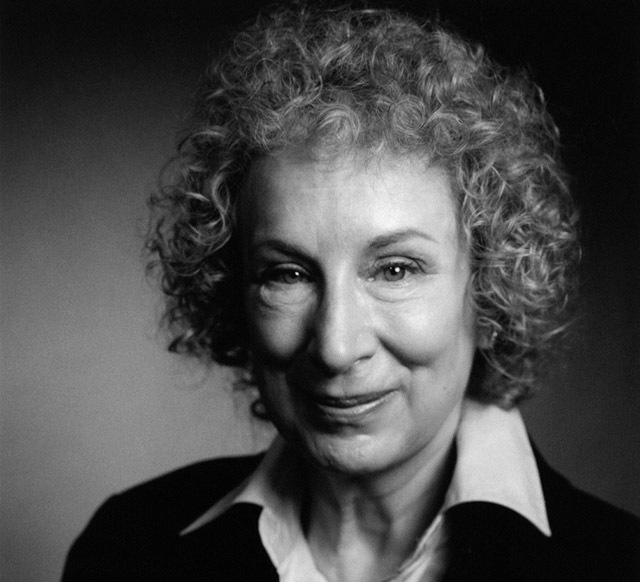 This Thursday the Toronto Reference Library will host a LongPen event with Margaret Atwood—inventor of the device—who will interview BBC personality and author Kate Mosse (not the model), who will be in Sussex, England. Conducted via video conferencing, Mosse will read from her newest work, Sepulchre, and answer audience questions, and will be able to sign books with the LongPen. Mosse’s book will be available through Nicholas Hoare Books at the event. Atwood will be able to sign books as well. Mosse will join the ranks of other authors who have, to this date, saved the environment from 48.95 metric tonnes of carbon emissions by eliminating air travel. You can watch the LongPen do what it does best here and here. READING: ART BAR POETRY SERIES presents Tomy Bewick, Nadine McInnis, and Ruth Roach Pierson. Clinton’s Tavern (693 Bloor Street West). 8 p.m. Free. BOOK LAUNCH: THIS IS NOT A READING SERIES presents Sam McKegney in celebration of the launch of his groundbreaking book, Magic Weapons: Aboriginal Writers Remaking Community After Residential Schools, by conducting a lively on-stage interview with renowned Ojibway author Basil Johnston about how residential school experiences informed Johnston’s works. Gladstone Hotel Ballroom (1214 Queen Street West). 7:30 p.m. (Doors at 7 p.m.). Free. BOOK LAUNCH: Let That Bad Air Out by Stefan Berg. David Mirvish Books (596 Markham Street). 6 p.m.
Thursday, December 6BOSTON MILLS PRESS presents Noel Hudson and photographer George Fischer for the release of Unforgettable Canada: 100 Destinations. There will be a photo exhibit displaying Fischer’s work from the book. George Fischer Photo Gallery (474 Queen Street West). 7 p.m. RSVP at [email protected] or 416-483-2850. WORLD’S FIRST LONGPEN EVENT: Margaret Atwood will interview author Kate Mosse at the Toronto Reference Library via video conferencing. Kate Mosse will be able to sign books using the LongPen. Toronto Reference Library (789 Yonge Street). 7 p.m.
READING: GLOBE AND MAIL/BEN MCNALLY BRUNCH SERIES presents Maria Tipett, Tom Perrotta, Anna Porter, and A.J. Jacobs. King Edward Hotel (37 King Street East). 10 a.m. Tickets $40. Visit the Ben McNally Books website for details. RADIO: A.L. KENNEDY will be a member on an interview panel on CBC’s Writer’s and Company. 3 p.m.
READING: ART BAR POETRY SERIES presents The Dead Poets Society. The annual event, hosted by David Clink, will feature George Elliot Clarke, Karen Connelly, Barry Dempster, Paul Dutton, Susan Glickman, Maureen Scott Harris, Bill Howell, Sandra Kasturi, Carol Malyon, David McFadden, Molly Peacock, Stuart Ross, Pricila Uppal, Halli Villegas, and Myna Wallin. Poets to be covered in the readings are A.R. Ammons, Margaret Avison, Irving Layton, William Mathews, Edna St. Vincent Millay, Dorothy Parker, Dylan Thomas, Paul Zweig, and others. Clinton’s Tavern (693 Bloor Street West). 8 p.m. Free. READING: GREAT CANADIAN ROAD TRIPS presents Roy Macgregor (The Canadians), Ray Robertson (What Happened Later), and 2007 Giller nominee Michael Winter (The Architects Are Here). All proceeds will be donated to the Trans-Canada Trail in the name of each of the participating writers. Books will be available for purchase on site. St. Alban’s Chapel, Royal St. George’s College (120 Howland Avenue). 7:30 p.m. Purchse tickets ($10) here.